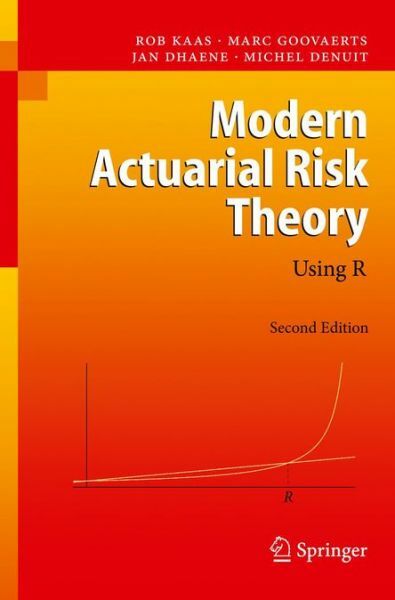 Modern Actuarial Risk Theory contains what every actuary needs to know about non-life insurance mathematics. It starts with the standard material like utility theory, individual and collective model and basic ruin theory. Other topics are risk measures and premium principles, bonus-malus systems, ordering of risks and credibility theory. It also contains some chapters about Generalized Linear Models, applied to rating and IBNR problems. As to the level of the mathematics, the book would fit in a bachelors or masters program in quantitative economics or mathematical statistics. This second and much expanded edition emphasizes the implementation of these techniques through the use of R. This free but incredibly powerful software is rapidly developing into the de facto standard for statistical computation, not just in academic circles but also in practice. With R, one can do simulations, find maximum likelihood estimators, compute distributions by inverting transforms, and much more.